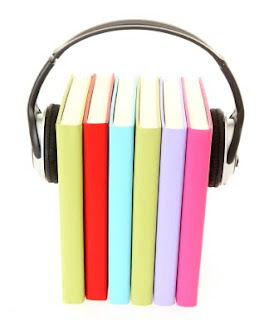 Kimberly Franklin: Free Audiobooks for everyone! Needless to say, when I happened to come across a post (via Gaby's site) promising information on how to get free audiobooks, well, you know what happened. I died and when to book lovers heaven. But I came back just to share with everyone on how to get free audiobooks, too. Aren't I sweet? The program is called SYNC. But what is SYNC, you ask? Well, I was just getting to that. • SYNC is hosted by Audiobook Community, a new social networking site for the discovery of audiobooks. If you want to know more about SYNC or how to download your free audiobook(s), please visit http://www.blogger.com/www.audiobooksync.com/ for more information. Now, on to the important stuff... the free audio books. Below, I've listed the two audiobooks that will be released each week. I can't wait! Some of these books I've never read. And I absolutely love that they are pairing each Young Adult title with a Classic title. It's amazing opportunity for teens and adults alike to take advantage of this free program. So, please visit the site. And share the info, if you like. I'm going to download my free audiobooks right now! Have a great weekend everyone!! Thanks for the kick a$$ link!!! This place sounds mega cool and I can't wait to visit! I mean who doesn't love free audiobooks??? Great link, Kim! Thanks for coming back to share with us wee mortals. I too love the free, thanks for the linkage! That's amazing. Thanks for the info! I forgot about The Lottery. That is too cool!!! Thanks for the info! This is fabulous, Kimberly! I love audiobooks. I'm sad I missed last week's - Hunger Games AND The Lottery? Wow! I'll be sure to catch the rest. Wow - they've got some great titles! Thanks for the information. THIS however is such a cool idea! Makes me wish I still had my two hour commute, so I could get into audio! Holy moly, that's awesome! And some of those titles are really, really good and contemporary. I mean, The HUNGER GAMES? On audio? No way!! Must check this out! thanks for posting it, Kimberly! P.S. Your new blog layout looks great! That's awesome! Thanks so much for the link! Free is my favorite word! I'll check it out...thank you so much for the linkage! Hey there Kimberly (and everyone)! Thanks so much for the mention! We're having a great time over at Sync, and we're already planning future installments (maybe even something during the school year?). So glad you hear of us, and happy listening!